Okay, so once again I am having to apologize for delays in posting, but hopefully this unbelievable eye candy will make up for it! 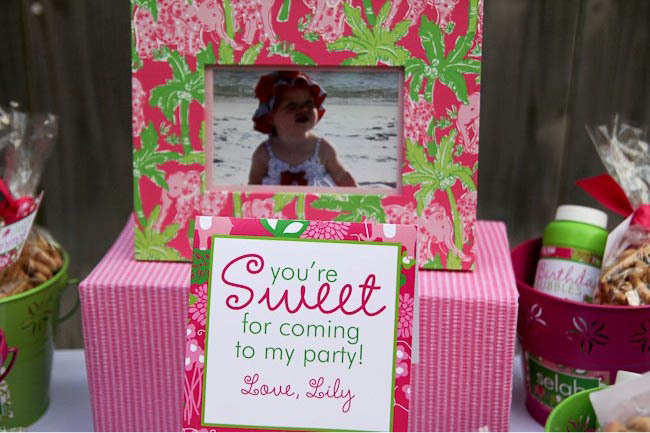 Lily's mommy wanted a Lily Pulitzer themed party with loads and loads of pink and green for her daughter's First Birthday! 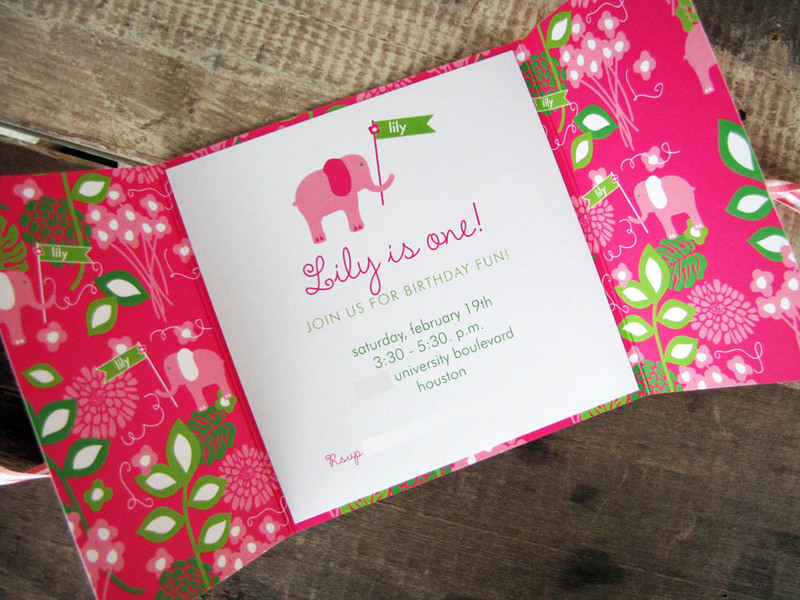 So, we custom designed the invitation, creating a Lily looking pattern from scratch and made pink elephants the focus! 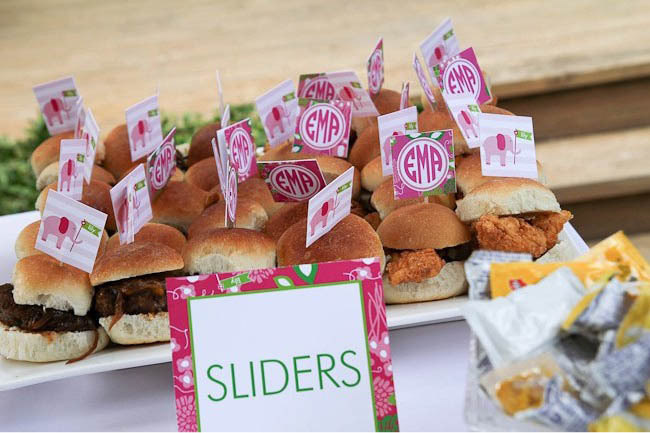 Then we hand lined the envelopes with a kelly green and white cabana striped liner, and then also tied a pink and white grosgrain ribbon around...it was like a little present in the mail to each guest! 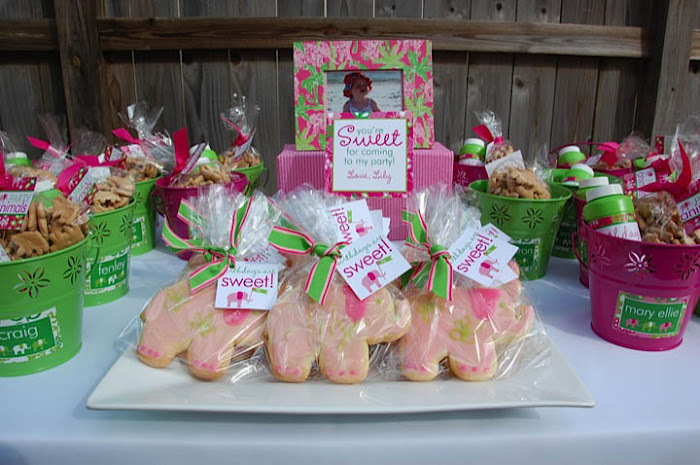 We then did all coordinating party items too..from the bubbles and cupcake tags to custom cookies and candy bar signage, this was just about the swankiest, most precious party we have ever seen! 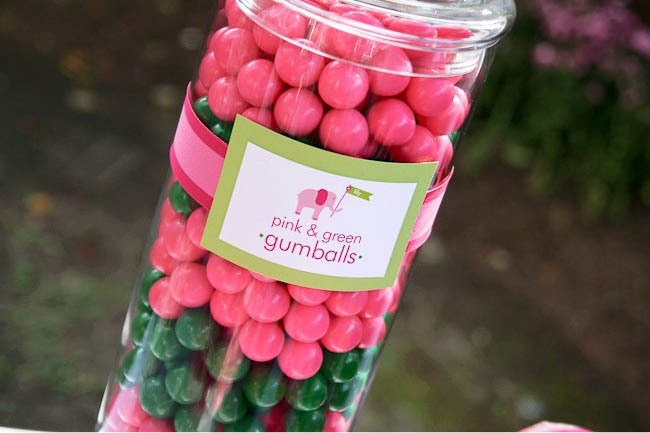 So, enjoy these pics...you won't believe how adorably pink and green it is! 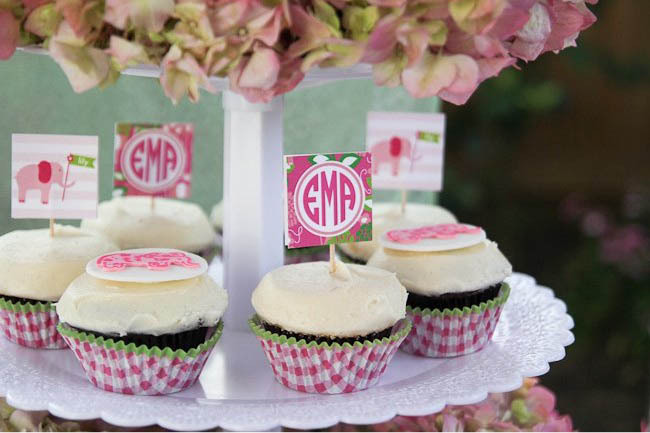 Preppy, sweet and oh so SWANKY!!!! The candy bar! 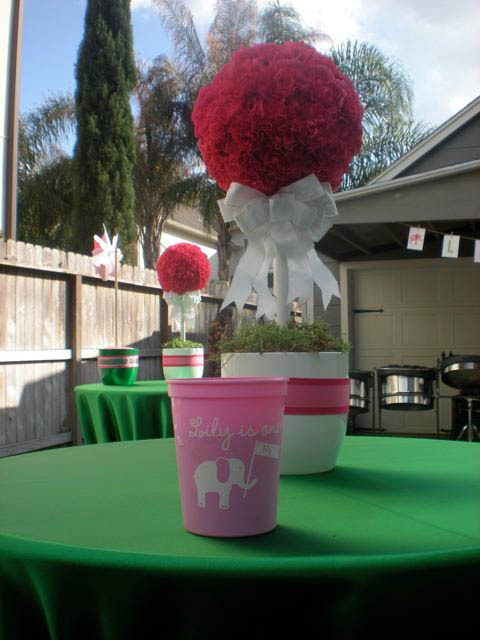 So creative and colorful! We laminated that monogram for her to hang! So unique! 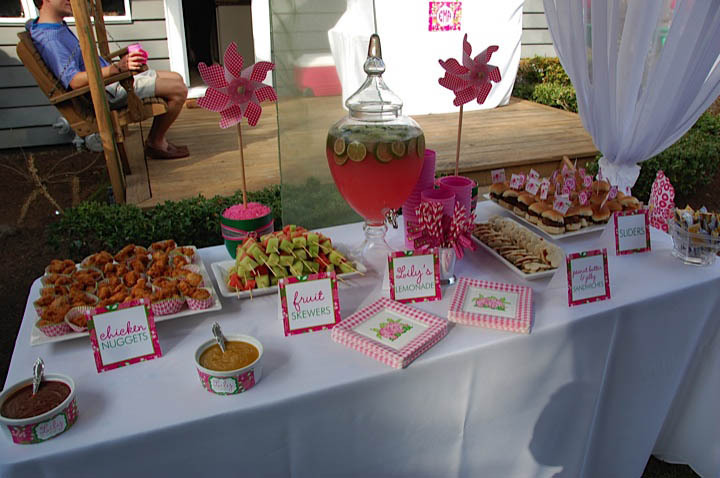 The food table with custom signage to match...Lily style! 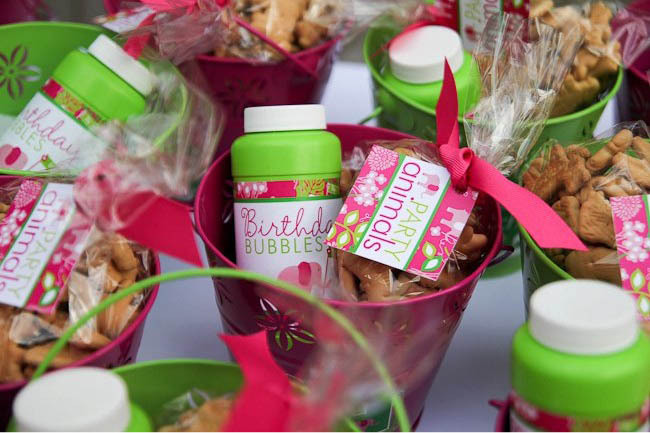 The favor table..complete with pails for each guest with bubbles, animal crackers, and elephant shaped cookies! 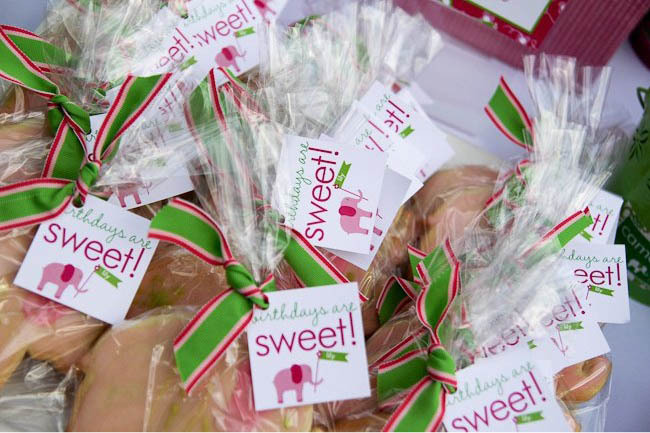 How cute are these tags we did mounted on lime paper??! ADORABLE! 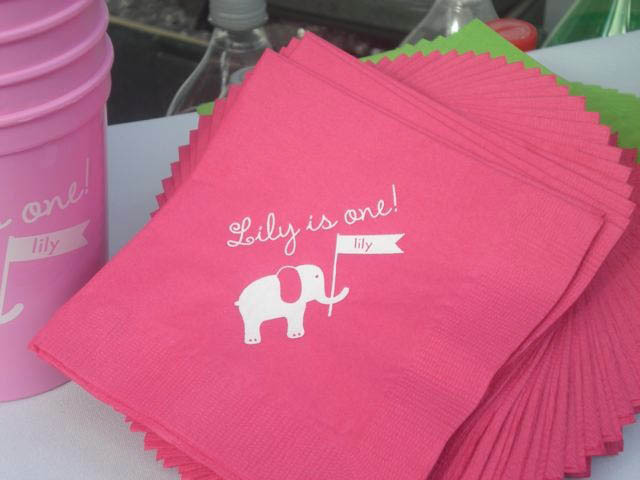 Custom Napkins..in pink and green of course! 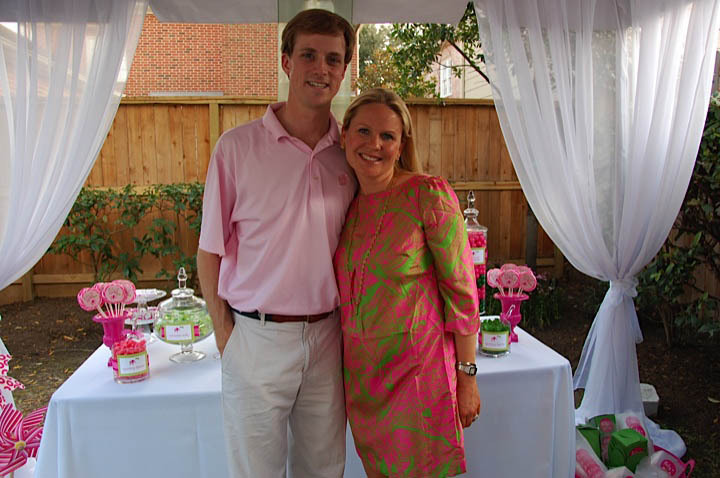 Mommy and Daddy dressed to match...so cute! Party time! Custom Placemat for the smash cake! 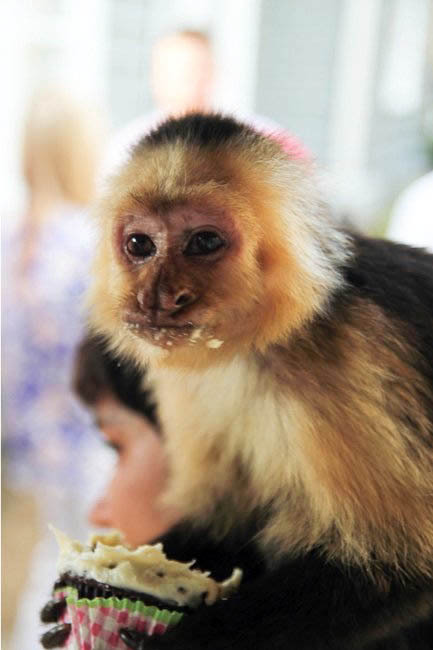 Did we forget to mention she hired bartending monkeys to come in for the extravaganza?! One is Marcel from the show Friends and the other starred in Outbreak. HAHHAHA! SO FUNNY! 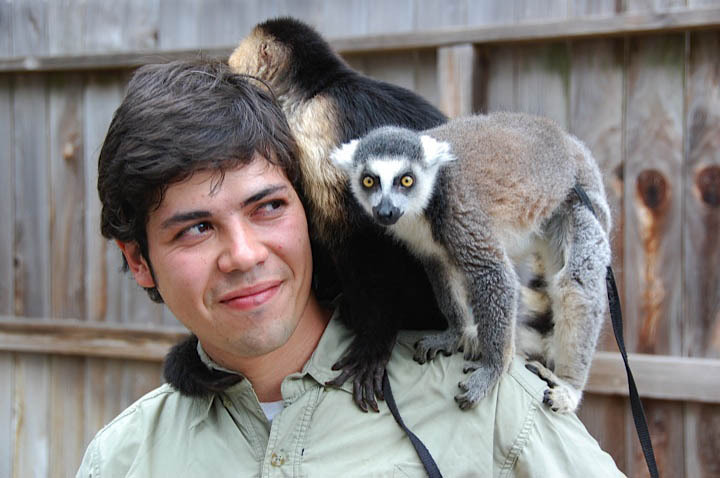 Monkeys with their trainer..we had to post. We hope you love it as much as we did! 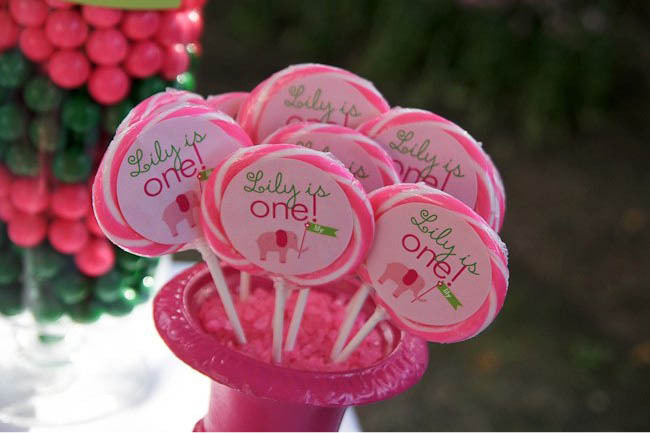 Happy Birthday Lily!!! What a fabulous party! I love everything!!!!! Wow. That is too cute! 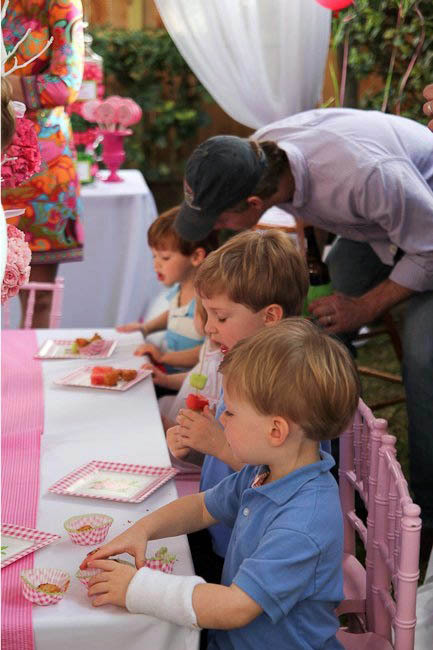 I love all the detail put into this birthday party! 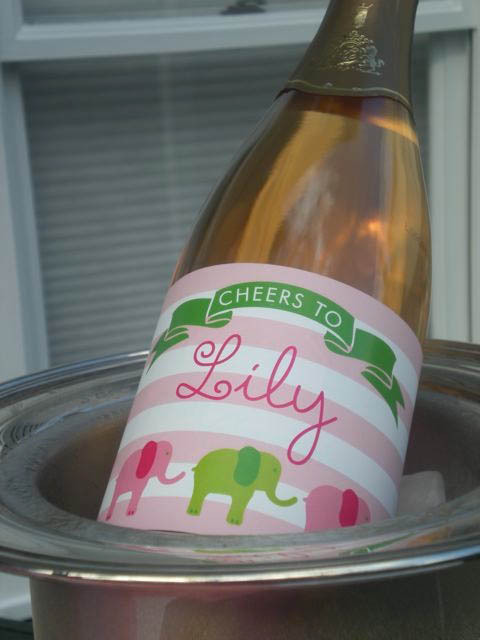 It makes a party that much more enjoyable. 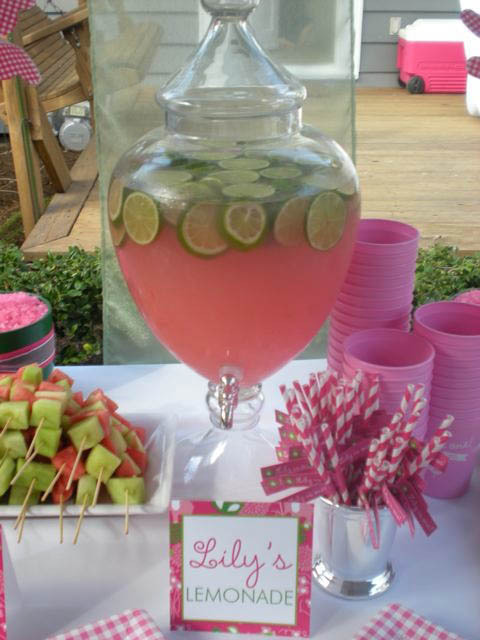 Everything matters at a party and you did a wonderful job! 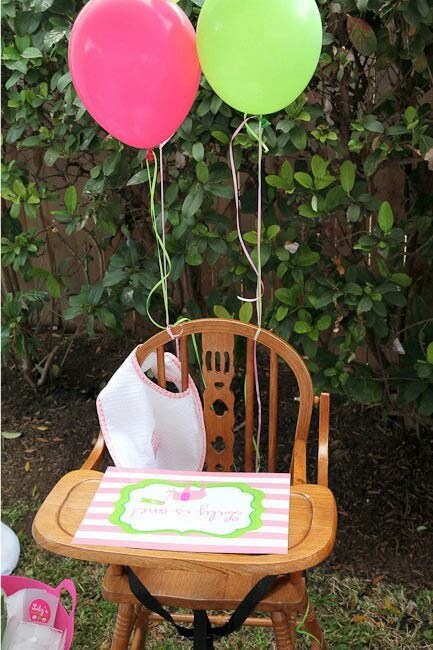 I am planning my daugthers first birthday party, looking for ideas and I love all the fine details. 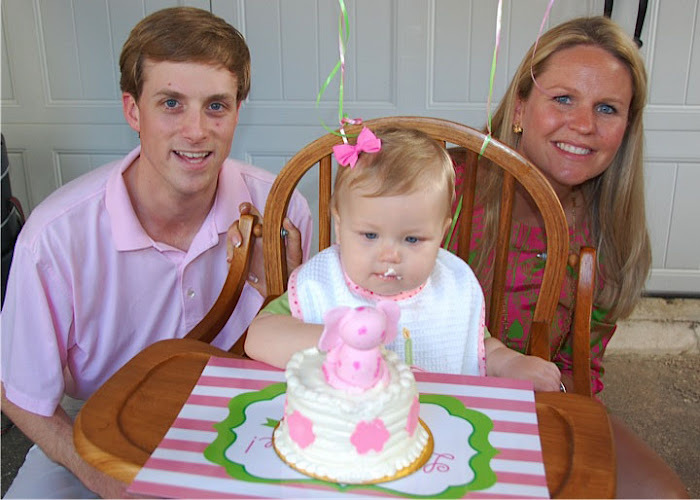 Thanks for sharing your pics and Happy birthday to the princess! 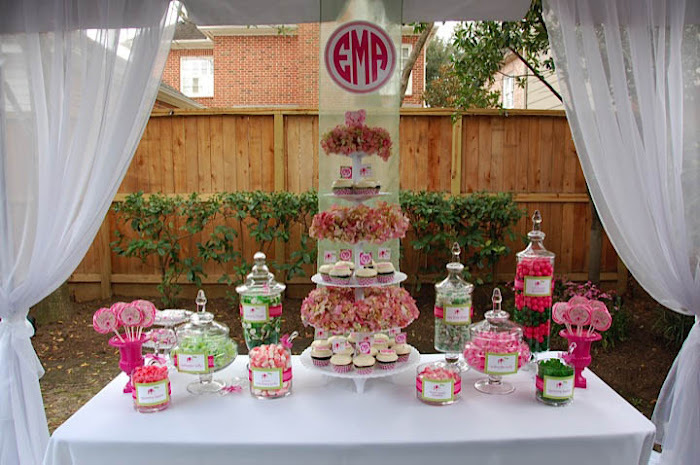 I've looked at numerous parties online, and this is by far my favorite (also considering it is our color scheme too!)!!! 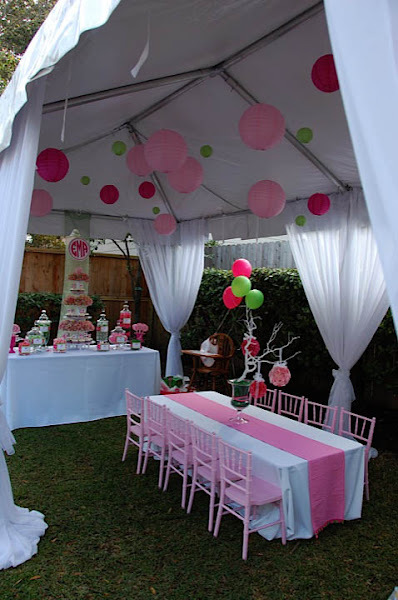 Thank you for giving me wonderful ideas to incorporate into my daughter's first birthday party :) very beautiful, yet simple. 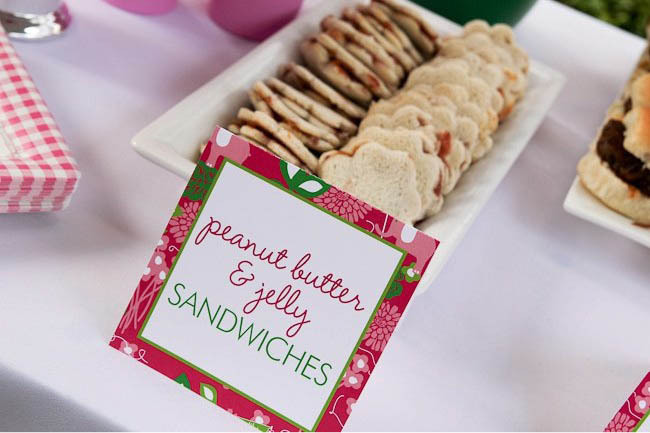 I LOVE this posting and your blog is such fun to look at! 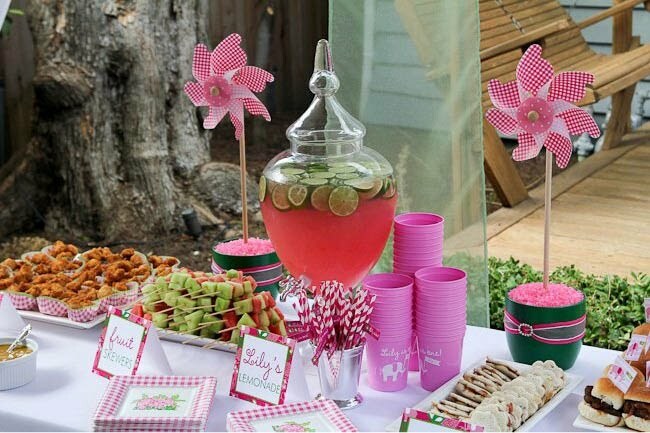 I wish someone would throw ME a party like this! This is absolutely adorable! Love it all! This is terrific! 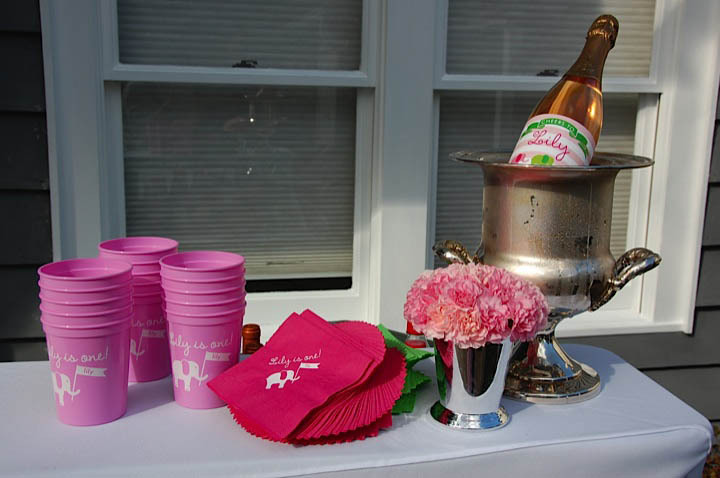 Where did you order the cups and napkins from? Thank you!